Beautiful, well-maintained home on a quiet street. 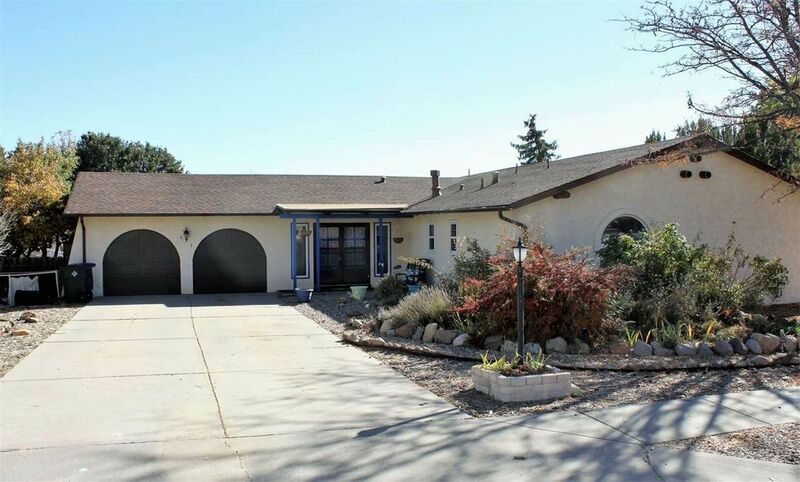 Home features two living spaces, four bedrooms, updated bathrooms and a nice open floor plan. Double pane insulated windows and a wood burning fireplace will keep you cozy this winter. Enjoy the spring and summer outside on the patio complete with a built-in grill and beautiful landscaped yard. Play structure conveys. Inside, enjoy the updated kitchen with stainless appliances and gas range. The master suite has two closets and an updated bathroom. There is a separate laundry room and ample storage throughout. Plus, a two-car garage and RV parking. Heating ducts run through the attic – no in-floor duct problems! Additional insulation added to garage. Home inspection available.